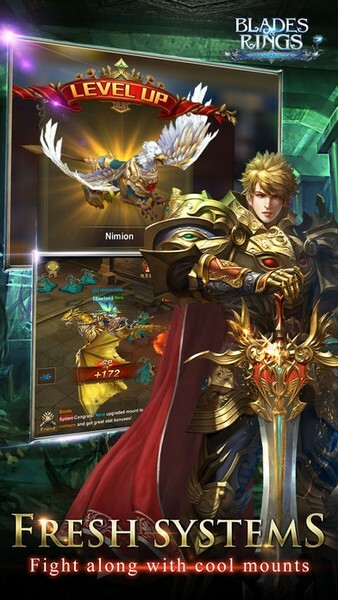 Blades and Rings is a free-to-play mobile fantasy MMORPG developed by 37GAMES for iOS and Android. 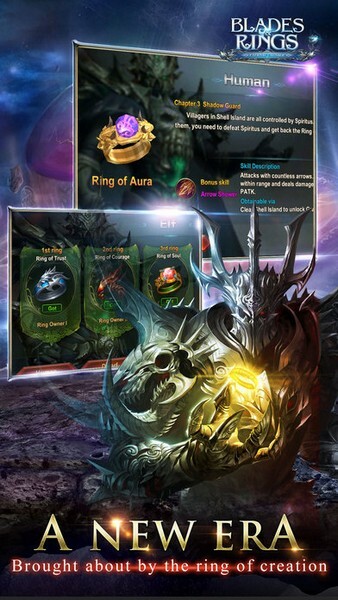 In Blades and Rings players will travel all across the world through the regions of the elves, dwarfs, gnomes, orcs, cyclopses and more to collect 27 different powerful rings in an effort to save the world. 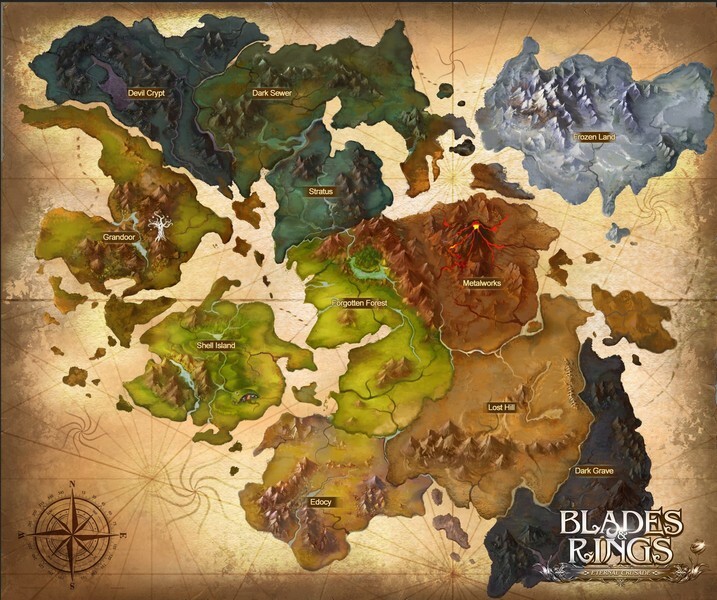 With various things to do in-game and a customization system that allows for meaningful character progression, Blades and Rings will have you leveling up and hunting for even better gear in no time at all! Advanced Customization: Acquire your own exclusive titles, spectacular skills, and featured looks. Even ride some unique mounts and customize your equipment to truly set you apart from other adventurers. 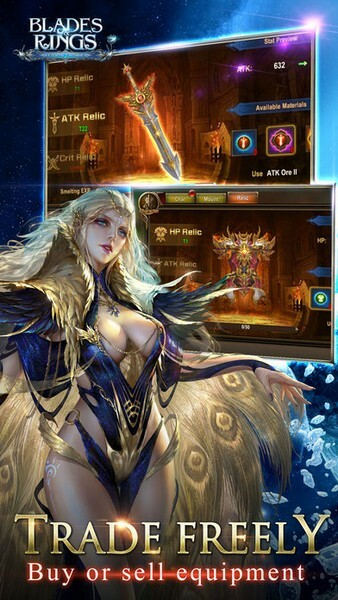 Free Trading: Players are free to engage in trade with one another without any restrictions at all. Set your own prices and haggle in your own ways! Open PvP: PvP is allowed on all maps in the game. You can even team up with your friends to take down higher level players and acquire some exciting loot drops if you're the one to deal the final blow! Can you make more characters then just one? I love the way it says above that we have free trading without restrictions, yet, ingame there is no trading. There is a market where you can post items, gear, ect, for a minimum sale price is 2 diamonds. When and if you are able to sell you don’t even get what you asked for as game creators take a 20% cut from sale. If love to see an actual trading post. Or allow us to trade directly with another player. 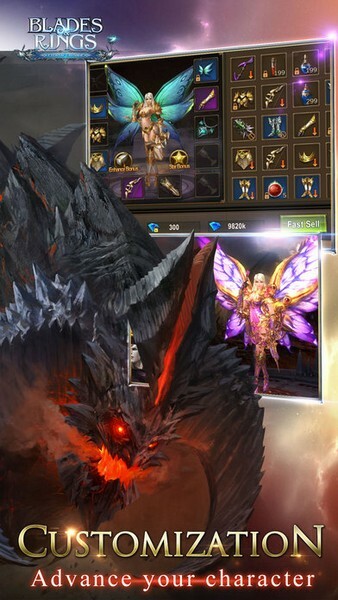 how do i get demon crystals for runes fusion ? ?